About 30 members of the Service Employees International Union (SEIU) Local 1021 were in attendance wearing purple t-shirts with the union’s logo to support Councilmember Desley Brooks’ proposal to create a new city department: The Department of Race and Equity. 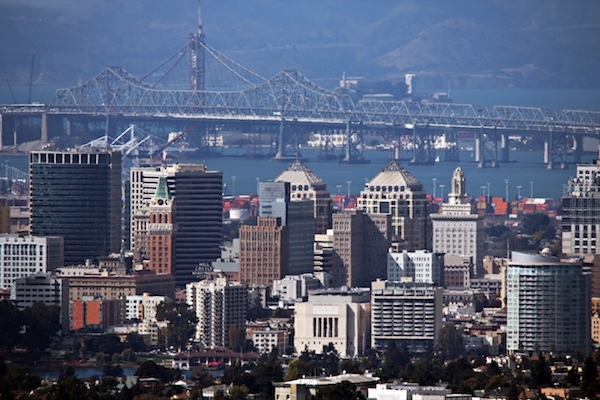 This department would work with other city agencies to address racial disparities in Oakland. Although discussion on the proposed department was moved to the first council meeting in May, several SEIU members spoke to the council to express their support for the proposal, as well as to advocate for the rights of temporary part-time city workers, who are also known at TPT workers. TPT workers who addressed the council, including Parks and Recreation and library employees, said uncertainty of employment, a lack of health benefits and having no track to full-time employment are just some of the many issues affecting them. Anna Bakalis, a spokesperson for the union, said that between 2008 and 2014, the number of TPT workers in Oakland increased from 1,000 to 2,500. According to the SEIU website, the city has eliminated 700 full time jobs and replaced them with TPT workers who have no job security. Bakalis said that in 2013 the city promised a resolution to increase in TPT workers, but instead hired 600 more TPT workers between 2013 and 2016. Bakalis said SEIU members expressed concern about the lack of job security for these workers, because TPT workers are often replaced with new ones, and the path to a full-time position is slim. “Full-time work is necessary. These workers wake up everyday wondering if they will get a phone call” to work, Bakalis said. Councilmember Dan Kalb (District 1) recommended a resolution in support of a AB 65, which would create a state fund to help local law enforcement agencies purchase, implement, and maintain a body-worn camera program for police officers. This bill would appropriate an unspecified sum from the state General Fund to the Department of Justice to make funds available for the purchase and maintenance of body-worn cameras. The bill was introduced by Democratic Assemblymember Luis Alejo who represents District 30, which encompasses California’s Pajaro and Salinas valleys. The council voted in favor of a city resolution to support AB 65. The council also approved environmental and planning measures to advance the Coliseum City development. Clearing the path for development brings the city closer to potentially reaching an agreement with the Raiders for a new football stadium. Development would include new retail, residential, office and hotel space, as well as three new sporting venues. Raider fans attended the meeting in fan paraphernalia in support of the development, which they hope will keep the team in the city. “There is still a need for housing plans around the Coliseum,” said Robbie Clark, housing rights campaign lead organizer at Causa Justa (Just Cause), a nonprofit organization focused on tenant rights advocacy. Clark said the development would lead to 20,000 low-wage jobs, but that there is not enough affordable housing to accommodate the increase in low-wage workers that Coliseum City would bring. In other council business, dozens of Oakland students filled the room to be recognized by councilmembers for their outstanding performance in the 36th annual Martin Luther King Jr. Oratorical Festival, in which students participate in poetry and speech competitions. Debora Nelson, a parent of two winning students, said the competition has benefitted her daughters and other students. “It’s a life-enriching experience that builds confidence and character that extends to their education and career,” said Nelson. The council also adopted a resolution by councilmembers Noel Gallo (District 5) and Abel Guillen (District 2) in celebration of Cesar Chavez Day honoring Oakland Latinos and Latinas, who have continued the legacy of the labor leader through leadership and community service. Some of the honorees included Jorge Lopez, the director at Oakland Charter Academy, and Favianna Rodriguez, an artist and activist. Councilmember Brooks (District 6) also recommended a resolution to make April 13 to 19 Emergency Dispatcher Week. Several dispatchers were recognized by councilmembers, the police and fire departments. Oakland Raider fans during Tuesday’s meeting to express support for development around the coliseum to keep the football team in Oakland.